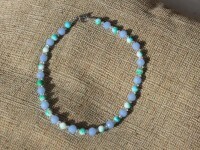 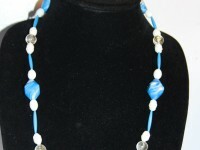 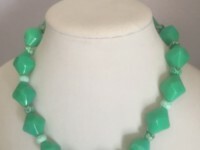 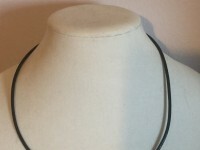 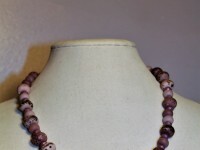 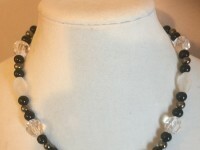 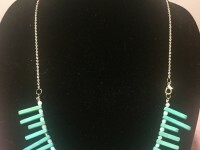 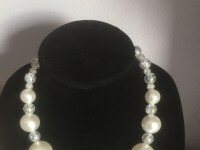 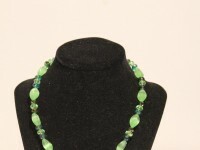 This necklace is 29 inches long and has closure with a lobster clasp. 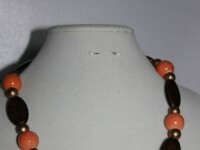 It is made up of all Vintage German beads! 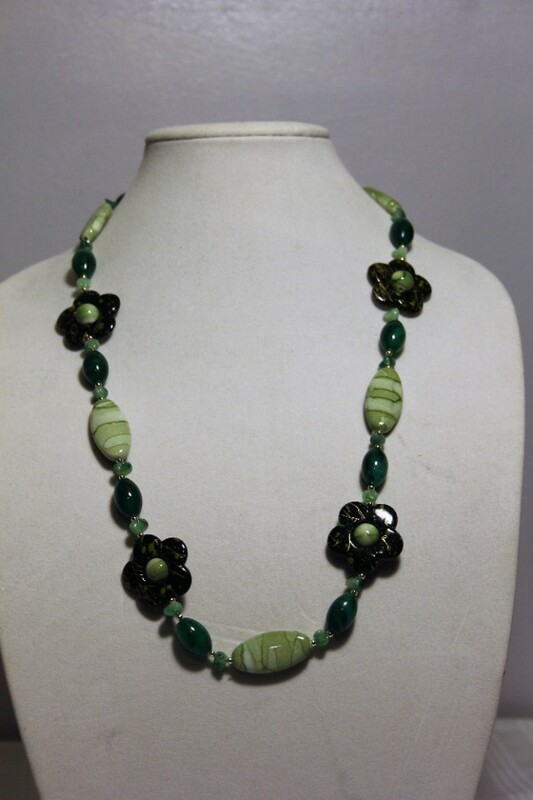 Acrylic marbled green & whit ovals, flowers with green and gold splashed and drizzled on them, the nuggets and the puffed ovals. 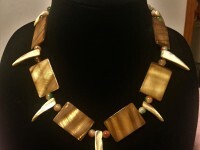 These are all one of a kind pieces of jewelry.